Buying a new puppy is a very exciting, emotional endeavor. Be careful to not let emotion make all of the decisions on choosing your new puppy. Remember that you are making a 10 to 14 year commitment! There are many important factors to consider about the "inside" of your puppy as well as the cute furry outside! RESEARCH AND PATIENCE ARE THE KEYS TO FINDING A REPUTABLE BREEDER. A reputable breeder will take the time to explain what their breeding program is about. Why they are breeding the dogs that they are, and what their program is doing to help improve their breed. They should have a good knowledge of the background of the pedigrees of their dogs, their positive and negative traits and the temperament history of their pedigrees. A reputable breeder should be willing to take the time to make sure that all of your questions get answered. No breed is perfect for everyone, and the responsible breeder wants to be absolutely sure that you really want, and are prepared to care for, this kind of dog for the life of the dog, not just during the "cute puppy stage". They should discuss with you the genetic deficiencies of the breed and at what ages they need to be tested. They should be willing to become your mentor. Knowing that you can go back to your breeder at any time and ask questions is invaluable! They should be able to offer you book titles and websites to further your education on the breed. The bottom line is: look for a breeder that wants to teach you about the breed, that wants to help you get the most out of your dog, and that wants to help you succeed in the show ring if you are looking for a show puppy. If the breeder does not willingly offer continuing support, beware of why they want to sell you a puppy! A reputable breeder only produces a litter with the goal of improving their breed. They do not breed only to make money or to sell puppies because a breed has become popular and puppy buyers are eager to buy. Pay special attention to this, as Toy and Miniature Australian Shepherds are presently a very popular breed and there are many back yard breeders breeding puppies just to make money. It is as important to work with a reputable breeder when buying a pet as it is when buying a show/breeding stock dog. The pet will be a part of your family for 13 to 15 years, why would you not want the best bred temperament that you could find? A reputable breeder does not breed simply because they have a female, and their friend has a male so they decided to have and sell a litter of puppies. Beware of the breeder that only talks about conformation. The mind of the puppy is a result of good bloodlines as much as good body structure. You should receive at least a three generation pedigree with your puppy. It is very important when buying an Australian Shepherd, Standard, Miniature or Toy that you find a breeder that knows how much herding instinct there is in the history of their bloodlines. If a breeder takes this lightly, and does not discuss this with you when helping to pick out your puppy, beware! The amount of herding instinct in the bloodlines that the breeder is using will definitely influence the personality of the puppy. You may want more, or less depending on your lifestyle. This is another reason for the breeder to know the background of the pedigrees of their dogs. A reputable breeder will not sell their puppies to just anyone. You should not be offended when asked about your lifestyle. The conscientious breeder will ask you many questions to find out if their breed is a breed that will fit well into your lifestyle and family. They will screen you carefully. They will refuse a sale rather than place a puppy in a questionable situation. If the breeder does not question you closely about your home, your family, how many hours a day are you at work and your expectations of the dog, beware! Southern Charm Mini Aussies as an example. This has BOTH parties in mind. The breeder should give you a copy with both of your signatures on it for your records. A reputable breeder will not sell a puppy under the age of 8 weeks and will have the puppy fully evaluated and temperament tested around 8 weeks depending upon the development history of their bloodlines. They should be current on their vaccinations for their age and you should be given a record of such vaccinations and any veterinarian work performed. They should have been dewormed. Ask the breeder how they evaluate their litters to decide show/breeding stock from pet quality. At Southern Charm Mini Aussies our puppies are evaluated using a set format. It is an intensive evaluation that we use at Southern Charm Mini Aussies. During this evaluation the puppies are also temperament tested. Our standards are high and only the puppies with the highest scores get rated as show/breeding stock. That means that many good show quality dogs are rated as pet quality at Southern Charm Mini Aussies. A reputable breeder will raise litters that are consistent enough that the difference between show/breeding stock and Pet quality to the average dog owner is so slight that it is hard to tell the difference. The temperament testing portion of the evaluation is as important as the structural portion, so the breeder can place the puppies in the correct households. If your breeder does not mention that their puppies get temperament tested in their evaluation, beware! At Southern Charm Mini Aussies we are committed to breeding excellence. The personality of a dog is something that you will have to live with for many years and is part of the "overall package" of our breeding program! Don't be afraid to ask questions; make a list as you think of things to ask. Bringing an Aussie into your home is a wonderful experience that will change your life forever. Your Aussie will bring you a lifetime of happiness, companionship, devotion and love. We would be happy to help you achieve that goal. If we do not have any litters available when you are shopping, we have contact with many reputable breeders that do. Our goal is to put good dogs with good people!! If you have found another breeder, hopefully the information that we have supplied above will be helpful to you to make sure that you get the puppy that is most suited to you and your family. All of our females come from excellent proven foundation stock. Our dogs bloodlines are all proven athletes with long life spans. All possible testing has been done to assure our first building block is a sturdy one. We feel that this is the key to producing puppies that will continue to live healthy lives for many years. Knowing this information gives us the confidence to know that we have the first major building block in place to make puppies that, as they turn into old dogs, will be able to withstand the aging process. We know they will have the best chance possible to not have to spend their elder years in discomfort and vet visits because they just did not have the genetic make-up or correct structure to withstand the tests of time. The breeding dogs at Southern Charm Mini Aussies must not only pass structurally to be entered into the breeding program, but they also must have the correct mind set. Australian Shepherds are herding dogs. Varying bloodlines carry varying levels of herding instinct. The dogs at Southern Charm Mini Aussies have herding instinct, but they also must be house dogs and have the mental capability to be polite companions and enjoy quiet time. A dog that is too nervous, over stimulated, or just too busy is not allowed into our breeding program. This is a unbreakable rule with us, regardless of how structurally perfect they are. We consider the mind as important as the body. They must be athletes, ready to go when called, but comfortable being a polite and quiet companion as well. "True Aussie Look" so sought after in breeding the Miniature and Toy variety. The healthiest puppies come from the healthiest dogs. There is no denying that. Once a female is bred she goes through several hormone changes. These changes can upset her whole nervous system. As her body is preparing for the pregnancy and these changes are occurring, occasionally they can become anxious, insecure and have special needs. We feel that during these early developmental stages of the embryo that it is important to do all that we can to make sure that the females stay calm and experience as little stress as possible. They are never "just dismissed" at Southern Charm Mini Aussies. All attention turns towards the pregnant female and her "out of character" needs for the first few weeks after conception until the hormone levels stabilize. A nervous, anxious, mother makes nervous puppies. As the central nervous system starts to develop immediately, we take this extra step to assure good mental health for our puppies. HERE AT SOUTHERN CHARM MINI AUSSIES WE MAKE SURE THE BIRTHING PROCESS IS AS STRESS FREE FOR THE MOTHERS AND PUPPIES AS POSSIBLE. Some breeders feel that it is best to let nature take it's course. We do that as much as possible, but with complete supervision so that each puppy has the best start to life. The mothers are never left alone prior to whelping and new litters are checked on often throughout the night for the first few week. We sleep in the same room as the mother and the puppies for the first two weeks. We make sure that no one puppy gets less attention than the rest. The surroundings that we have our females and their new babies in is a safe, stress free environment where they can flourish. A radio is always playing with slow soothing music until the puppies are moved out of the whelping box. Our newborn nursery is above ground level. This helps in several ways. One, it keeps the mothers relaxed, as they don't have to be on the look out for another dog coming near their babies. Also, it keeps the newborn babies away from drafts that could stress their delicate systems just after birth. SOCIALIZATION BEGINS AT TWO DAYS OF AGE. There are several stages in a puppy's life where learning and socialization is maximized. Certain experiences need to happen (or not happen, in some cases) at a particular time, and if not, the "window of opportunity" closes and the potential benefits of those experiences are missed. We follow a progressive program with each week of development to assure that our puppies are well socialized when they go to their new homes. This is paramount for a good start to bringing a new puppy into your family. View our page called STAGES OF PUPPY DEVELOPMENT to read more about our procedures. For those of you who have deposits on puppies and are waiting for them to reach the age where you can take them home, you might enjoy following your puppies developmental stages on this page. OUR PUPPIES GROW UP IN A HEALTHY ENVIRONMENT. We clean and sanitize our puppy area several times a day. We begin litter box training and offer them access to "go potty" outside so the house training is well started when they go to their new homes. There is usually a set back with the major change of new caregivers and environment as they adjust to their new families and home, but the beginning stages of house breaking are under way when they leave us. We provide information and are always available for questions for house breaking. OUR PUPPIES ARE ONLY GIVEN THE HIGHEST QUALITY DEWORMERS AND VACCINES. All of our dogs are on a strict vaccination, heart worm preventative, and deworming program and only given the highest quality vaccines. Our puppies are vaccinated as soon as of age, and put on a healthy deworming program. As each puppy leaves us and goes to their new homes they are sent with a vaccination and deworming history sheet. This is for the new owners to take to their own vet to start that puppies file when taken in for their "New Puppy Check-up". We constantly get calls from our new puppy owners following this first vist stating their vet that they were very pleased with our vaccination and deworming program. We strive for a good balance between the contraversy concerning vaccinations of young puppies and keeping them safe from all the outside world will expose them to after leaving our kennel. We achieve this balance by using the highest quality products available on the market today. WE TEST FOR MANY BREED GENETIC DEFECTS FOR AUSTRALIAN SHEPHERDS. We take all of our puppies to a certified veterinarian ophthalmologist and have their pre-liminary eye certification completed. This is eye exam is done between 7-8 weeks of age. We have our breeding dogs tested for PRCD/PRA and CEA by Opti-gen. No dog with a positive reading to any of these genetic eye defects is allowed into our breeding program, thus assuring no positive results in our puppies. All breeding age dogs have their hips x-rayed and certified clear of hip dysplasia. Any dog with less that a "good" reading is not allowed to enter our program. We evaluate for breed type, genetic integrity, good temperament and structural soundness. Detailed records are kept on each puppy and a copy is available to all new puppy owners upon request. This extensive evaluation process is how we decide who is worthy of entering our breeding program, or the program of someone in our PUPPY PROSPECT PROGRAM. The remainder of the litter is then placed in pet companion homes as fur-family members. We drive from Atlanta, Georgia to Iowa, sixteen hours, to have one of the best breeders we know evaluate each puppy before the puppy goes to their forever home. 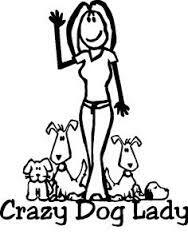 HERE AT SOUTHERN CHARM AUSSIES YOU ARE A MEMBER OF OUR "FUR FAMILY" FOR THE LIFE OF YOUR DOG. Once you purchase a puppy from Southern Charm Mini Aussies you become a member of our extended "Fur Family" and we are always available for questions or continued education. Here at Southern Charm Mini Aussies you will always find an open door and a listening ear to help make your life with your new family member the best that it can be!